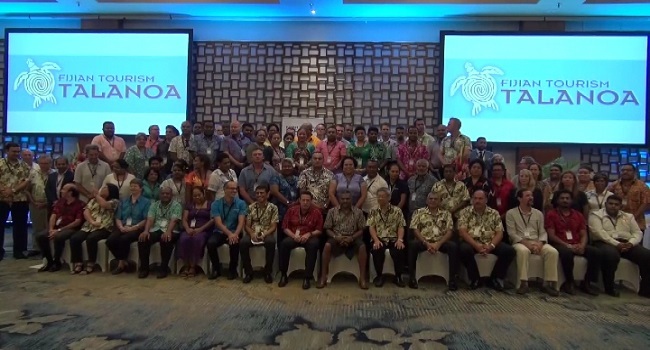 Key stakeholders in Fiji’s tourism industry met yesterday at the Fijian Tourism Talanoa conference and discussed issues pertaining to the industry. Tourism Minister, Faiyaz Koya says despite the facts and figures on the ground showing tourism is healthy, those present at the meeting were told they need to improve to stay ahead. Koya says addressing interests and concerns of stakeholders in the tourism sector and strengthening stakeholder partnership are the expected outcomes of the conference. Koya says the wide interaction between tourism Fiji and its stakeholders is necessary and refreshing as dialogue and discussions help to resolve matters and also concentrate the focus of stakeholders to achieving the best for the economy and industry. The last Tourism Talanoa Conference was held in 2011.